This is home to one of Italy’s largest container ports and is “one of the busiest maritime corridors in the world” - a notorious cocaine smuggling route and since long a stronghold for the Ndrangheta mafia. Carpignano’s film is defined by its authenticity and contains many realistic elements, even if the director lets symbolic dream sequences break up the narrative at regular intervals until these images form their own story that runs parallel to the main narrative set in the present. Again in a neorealist fashion, the actors are all generally non-professionals portraying characters who have been dealt a hard card in life and who are of low social standing. 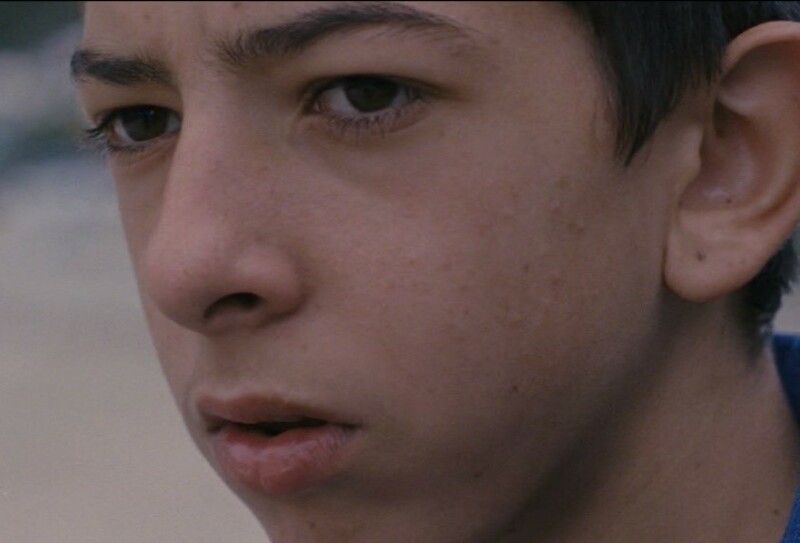 The majority of the characters in focus form a part of Calabria’s Roma community of gypsy heritage and - as they are presumably members of the same extended family on and off-screen - they all generally go by the surname Amato, with Pio Amato being the name of both the lead actor and the young and expressive main character. Equally poor as the members of their fellow African community (the two groups share similar fates) Carpignano’s Romani characters, too, live on the outskirts of society and they, too, engage in crime for a living. Their daily habitat is an urban wasteland - barren and bleak, cold, full of rubbish and defined by its general ugliness. This is the unglamorous and harsh setting for the film selected as Italy’s Oscar contender in the Best Foreign Language Film category. Delivered partly in Italian, partly in the Romani language, a number of dialogues in the film would have been nigh impossible for Italian viewers themselves to comprehend unless the ethnic Romani utterances had been subtitled into Italian. This preference for subtitles rather than dubbing adds further authenticity to the film (and, one might argue, reflects respect on the part of Carpignano towards the Roma community). 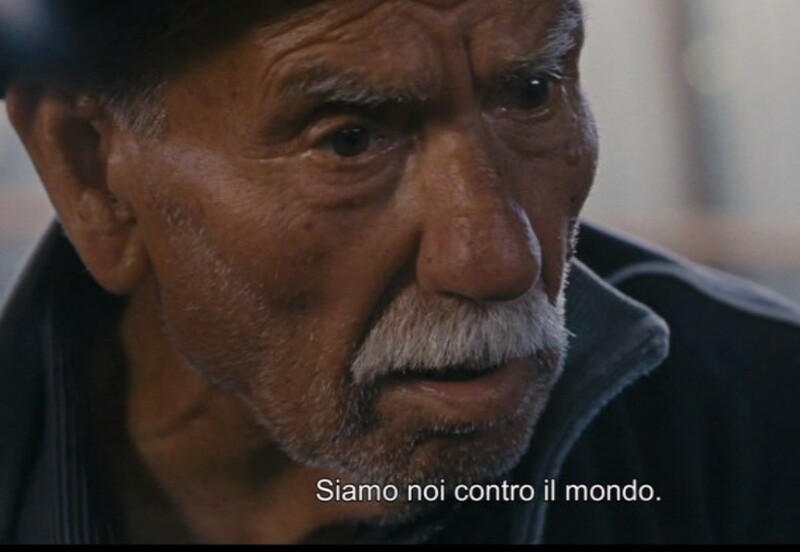 The DVD version of the film, which has not yet reached Australian cinemas, is divided into chapters entitled Pio, Auto rubate, La cena, Il furto, L’arresto, Consegna dell’auto, Perquisizione, Il campo migranti, Una bella serata, Il sogno con il nonno, Lo sbaglio di Pio, L’amico africano, Complice, and Già uomo. The film becomes a timely contribution to the type of contemporary cinema that goes against the mainstream and instead celebrates the anti-hero, the downtrodden and the outcast - people who, in the case of A Ciambra, are of gypsy heritage and who lead a precarious existence under the watchful eye of the Italian authorities, with the police constituting a menacing presence in the Amato family’s life. Like Carpignano’s previous film Mediterranea (2015) - which screened at the Cannes Film Festival, could be considered a prequel to A Ciambra, and focuses on the risky and dangerous trajectory of African refugees crossing the Mediterranean Sea to Italy only to face hardship and hostility also in what they initially considered a safe haven - A Ciambra, too, confronts reality head-on. Both films also star Pio Amato and African Koudous Seihon in lead roles. From initially being presented a mythical opening scene in which a nomadic gypsy traveller accompanied by a lone horse is seen surrounded by a vast, open and desolate landscape, the viewer of A Ciambra is soon hurled into the all the harsher everyday reality of what turns out to be the descendants of the first character. Gone is the romantic setting and instead the story about to unfold and which has a documentary feel to it (Carpignano says in an online interview that he first met the then 11-year-old boy Pio Amato on the streets of Gioia Tauro, and he explains that the screenplay of A Ciambra, years later, “began with a documentary approach. I included scenes and experiences from their real life”) is set in a cold and unaccommodating Italian South. We soon meet the mythical gypsy from the opening scene in the guise of the nonno or grandfather – the family patriarch - in real time, surrounded by members of the same Amato family who range from chain-smoking children growing up fast as they imitate their older siblings and learn to follow in their footsteps, to adolescents where 14-year-old Pio soon steps forth as a main character, and a number of adults, some of them nameless. The more experienced adults seem as adrift as the members of the younger generation and Pio’s greying mother Iolanda - maternal head of the family in the unexplained absence of a father figure, commanding in her presence and stern on the surface - is, while financially dependent on the wads of notes that Pio brings home after nights of dabbling in shady business, keeping up a façade of reprimanding mother who scolds her teenage son and worries about him all at once. When her eldest son Cosimo is arrested by the police Pio becomes the main breadwinner and his money-making methods prove risky business as he desperately learns to navigate the rough climate of Gioia Tauro, network with members of the African community, and engages in stealing, wheeling and dealing all in order for him and his family to survive. With those final words the man soon thereafter abandons his earthly existence and with that the last link to what was before is gone. Still, Pio is left with a larger message where freedom, independence, and community spirit become keywords despite “the nomadic subject” having come to symbolize “displacement and dispersion”. Carpignano’s bold and moving film much worthy of an Oscar in its multilayered representation of one type of contemporary reality leaves us wondering if, after all, the once nomadic subject was not better off nomadic than trapped under the precarious conditions of contemporary life in Gioia Tauro. Patrick DiCicco, The Jagged Side of Midnight: A Horse’s Tale of Love and Loss (Bloomington, Indiana: iUniverse LLC, 2014), 19. It has been highlighted that the Ndrangheta … “in that region controls not only agriculture but also drugs and arms trafficking”. E. Toscano, “The Rise of Italian Populism and ‘Fascism of the Third Millennium’ in the Age of Migration and Security”, in The Securitisation of Migration in the EU: Debates Since 9/11, eds. Gabriella Lazaridis and Khursheed Wadia (UK: Palgrave Macmillan, 2015). 174. Filhol 2013, quoted by Emanuele Toscano in “The Rise of Italian Populism and ‘Fascism of the Third Millennium’ in the Age of Migration and Security”, The Securitisation of Migration in the EU: Debates Since 9/11, eds. Gabriella Lazaridis and Khursheed Wadia (UK: Palgrave Macmillan, 2015), 174. Karen Caplan, Questions of Travel: Postmodern Discourses of Displacement (Durham, London: Duke University Press, 1996), 87. Jytte Holmqvist is a movie enthusiast with a doctorate in Screen and Media Culture from the University of Melbourne and a keen interest in contemporary Spanish and Italian culture. She has established a publishing record and presented at conferences nationally and abroad. Her interest in Italian film began in earnest at the University of Auckland when in the paper Italy on Screen she explored films by Fellini, Rossellini, De Sica, the Taviani brothers, and Pasolini - to mention but a few. With that grew a love for Italian cinema and the fascinating world that it opens up to the viewer.